The New Jersey State Police Major Crimes Unit is seeking the public's assistance with locating John Kohlbecker. 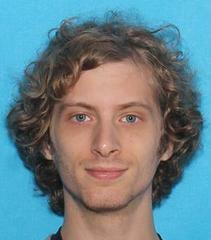 The New Jersey State Police is seeking your assistance in locating John Kohlbecker. John was last seen on Thursday, February 11, 2016. He was observed that day on video surveillance at approximately 2:30 p.m. at a ShopRite in the City of Bridgeton, Cumberland County. He is 5'11", 135 lbs, with blond hair and blue eyes. On Sunday, February 14, his vehicle, a white, 1995 Toyota Camry, with Pennsylvania registration JXA5834, was recovered at the Green Bank State Forest Station in Wharton State Forest, Washington Township, Burlington County.